Select reusable products - such as cans, rechargeable batteries and shopping bags. Buy all-purpose products or make your own - check out eartheasy.com for non-toxic ideas. Pick products with little packaging - less packaging means less waste. You can also buy in bulk. Sell or give away unwanted items - donate to your local charity shop or sell at a car boot sale. Use up all toxic products - such as furniture polish and paint, so no hazardous material ends up as waste. Paper, envelopes and packaging - all make great art materials for children. Jars and pots - can be used as containers or make jams and preserves for gifts. 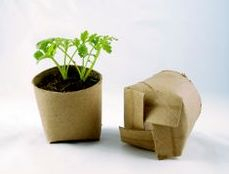 Plastic and paper bags - can be reused for shopping, used as rubbish bags or as wrapping paper. Used wood - can be used as firewood or wood crafts for children's projects and small garden objects. 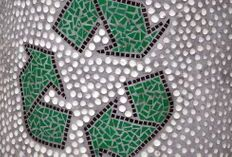 Check out Pinterest for Recycle and Reuse Crafts. Love a product but hate the wasteful or unsustainable packaging it comes in? Tell the manufacturer. When they know it matters to you, it matters to them. Click here to download our template letter to manufacturers about packaging concerns.